One of the problems raised by a modern Westphalian nation-state model is that of sub-nationality, of ethnicity and an identity which relates to that given by nationalism, but somehow lesser than that of the nation. Just as the nation corresponds to a nation-state or country, the sub-nationality corresponds to a province. The sub-nationality may have its own language, its own historical narrative, and may include both aspirants for independence as a separate nation, as well as those arguing for remaining within the state. The default model is the USA: a single state, but internally governed by three tiers of government: the federal, the fifty states, and the counties or local councils. Pakistan has not only a federal government, but also four provinces, each with its own government. The provinces are further divided into districts. 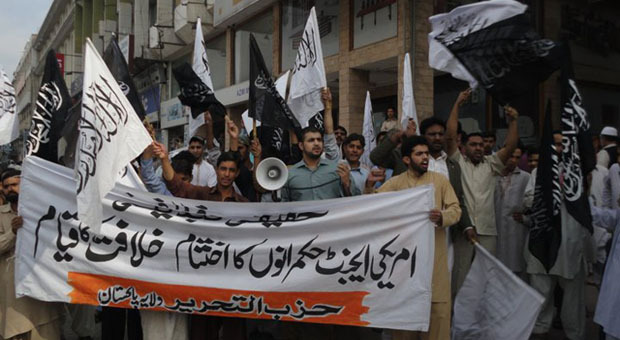 The Khilafah state is apparently divided on the same lines, with the central government of the Khaleefah, the provincial governments of the Walis and the district governments of the Amils. However, actually, since the Khaleefah appoints the Walis, as well as the Amils, there is only one government. The Amils may be appointed by the Khalifah, but even if he has not delegated the power of appointment to the Wali, it would be unlikely for a recalcitrant Amil to remain in office while his Wali opposed him. One effect of appointing at least Walis centrally will be to end the distinction between central and provincial governments. At present, the distinction is exploited to shift blame. A recent illustration came from the Karachi crisis. Both central and provincial governments agree that over 1000 people died of heatstroke, mostly in Karachi, but both are adamant that it is the other’s fault. The provincial government says the deaths were caused by load shedding, and electricity is a federal portfolio. The federal government may not have claimed it, but health is a provincial portfolio, and the crisis showed defects in the health system. In the Khilafah, the possibility does not exist of the Wali being anything more than the agent of the Khalifah; there is no distinct ‘central’ or ‘provincial’ portfolio. There is no way for the Khalifah to personally avoid responsibility for the deaths. If the Wali is not active enough, the Khalifah should have appointed someone more efficient. Another effect of appointing Walis centrally would be to break the link between the Wilayahs and ethnicity. Neither Wali nor Amil will have to contest elections locally, so there will be no incentive in whipping up provincialist and ethnic sentiment to win elections. Another factor in whipping up this sentiment is having a particular language. When all government is carried out in one language, Arabic, there will be no differentiation between Uzbeks and Kazakhs, or Baloch and Farsiwans, but simply between Arabs and non-Arabs. And that will disappear through the education system. If there is a demand, another language, or couple of languages, other than Arabic, may be included in the educational system, but Arabic will have to be compulsory for all citizens, even if they are not Muslims. It is because the official language will be uniform throughout the Khilafah that it is possible that Wilayahs will not be organized on linguistic basis, and a minority living in a particular Wilayah will not suffer from not being fluent in the language of the majority. If a sub-national unit adopts a particular language for its court and school systems, teachers and lawyers must know that language. However, if Arabic alone is used, then no ‘local’ majority will be rewarded. That will also mean that a major barrier to migration will disappear, and further, because the Wilayahs and Amalas are unable to discriminate against ‘outsiders’, there will be a readiness to join public services. Another disappearance will be of provincial quotas in entry to government jobs and to educational institutions. That means that a provincial identity will be of no utility, let alone provide any advantage. The advantages that are now provided allow those sharing that identity to look after each other. This means that all the Wilayahs will be able to select the ‘best and the brightest’ for their jobs. This might be seen as discriminating against a particular nationality, but what if belonging to that nationality is not seen as a marker of identity? A Pakistani example is appropriate. Before 1971, there was a lot of emphasis on the height of candidates, because it was a marker of East versus West Pakistani, to the extent that it became a marker in itself. However, now height is not an issue in Pakistan. It should not be forgotten that national identity is malleable, and thus so is provincial. Just as someone whose parents belong to Lahore can be born and bred in the USA, so can someone settle in Sukkur, with the result that his children will belong to Sindh. The Khilafah will not abolish the provincial identity, but will make it irrelevant. A person from Sukkur may speak Sindhi at home, but in court, he will have to use Arabic, as he will while filling out the form that he needs to accompany his application for funds so that he can farm some barren land. That land might be outside Sukkur, Kano or Kuala Lumpur; it would not matter. Then why should that person identify himself as the speaker of a particular language? Upon its arrival, the task before the Khilafah will be to reduce the political implications of this ethnicity to virtually nothing, and leave the Khilafah as a multilingual entity. That multilingual nature will be smoothed over as people adopt Arabic as an official language and as a lingua franca. Being an official language implies that two Malaysian officials will correspond in Arabic, and even speak Arabic with one another, rather than Bahasa. Being a lingua franca implies that Malay traders, while speaking Malay with each other, will use Arabic with the Uzbek wholesaler they are buying from, while the deal is being struck in Karachi. One force for this will be the education system. However, another force not as easily identified will be the military training which is obligatory for all Muslims. Though the obligation is on the individual, it is the government, the Khilafah, which will be obliged to do this. As the Khilafah will also be obliged to enable Muslims to carry out their duty of performing jihad, it will also want to ensure that this training fits in with this. The Khilafah will find itself obliged to provide training which will make those trained appropriate instruments for jihad. Whatever the military policy of the Khaleefah, training will have to be uniform across the Khilafah. This means that someone trained in the Sahel of Africa should be able to operate in East Asia. That implies understanding orders, and thus knowing the language of those orders. That implies a lingua franca, which would be Arabic. There are strong practical reasons for the dissolution of the ethnic identity. Perhaps most importantly, the Khilafah will not be an aggressive promoter of ‘national identity’, which has so often seen the promotion of one language, and the discouraging of others. An important reason is that other languages need this support; Arabic does not, because it is the language of the Quran and the Sunnah. More importantly than this liturgical reason, they are sources of the law by which the entire Khilafah, not just its law courts, will be run. This makes it necessary to bring back the Khilafah. Provincial sentiment will fall by the wayside, and what may well seem a major issue now, will not need separate government intervention, as it will disappear on its own.